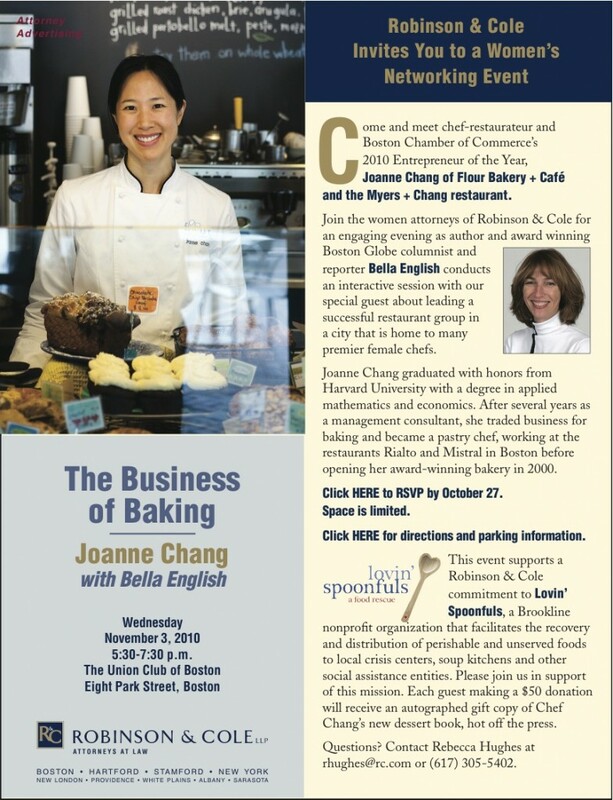 On November 3rd, Robinson & Cole in Boston hosted an evening with Joanne Chang at the Union Club. Lovin’ Spoonfuls was lucky enough to be the charity of choice for this networking event – guests received copies of Joanne’s new cookbook with a donation to ‘Spoonfuls! Joanne graciously signed books, and participated in a warm & funny dialogue about women in business. Over $4000 was raised for ‘Spoonfuls! Our thanks to Robinson & Cole and Joanne for being such wonderful supporters of our mission!